How Could Oscars Have Screwed Up 'Moonlight' Best Picture Moment? 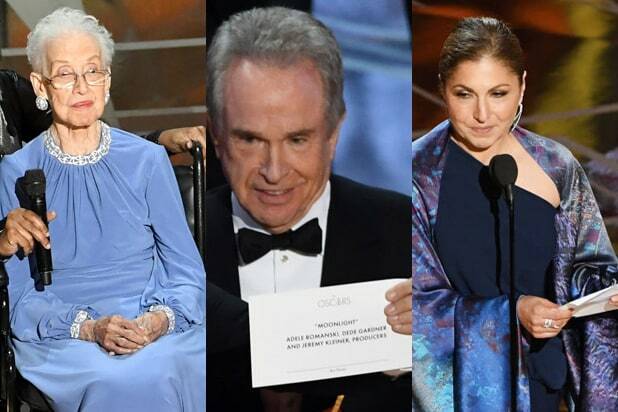 How could the biggest flub in Oscar history possibly have occurred — with Faye Dunaway and Warren Beatty reading the wrong winner for the evening’s top prize? While Beatty said on stage that the envelope contained the winner for Best Actress, which went to “La La Land” star Emma Stone, the actress herself seemed puzzled by that explanation. 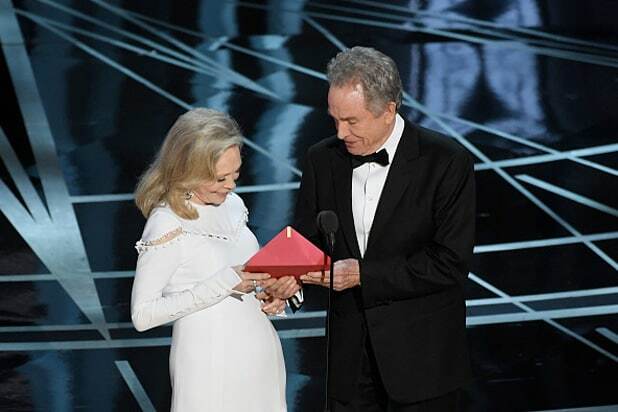 PwC, the accounting firm which counts the Oscar ballots and has control of the winning envelopes, issued a statement late Sunday night accepting responsibility for giving the wrong envelope to presenters Warren Beatty and Faye Dunaway. Oscar insiders note that there are two reps from PwC (f.k.a. PricewaterhouseCoopers) backstage, one stationed on either side of the stage. Each has a complete set of envelopes. They’ve also memorized the winners and have instructions to immediately stop the show if an incorrect winner is announced. Most presenters enter from stage right, and get their envelope from a stack on that side of the stage. But there’s another stack on stage left, where only a couple of people typically enter during each show. It’s possible that Warren Beatty was given the Best Actress envelope by mistake from the side of the stage that hadn’t given presenter Leonardo DiCaprio his Best Actress envelope — the one Stone said she still had in her possession backstage. In any case, PwC seemed appropriately contrite in the wake of the epic screw-up. “We sincerely apologize to ‘Moonlight,’ ‘La La Land,’ Warren Beatty, Faye Dunaway, and Oscar viewers for the error,” the firm’s statement read.